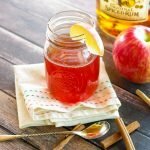 Warm up this winter with my Spiked Apple Cider Tea which features hot apple cider, spiced rum and apple flavored hot tea. 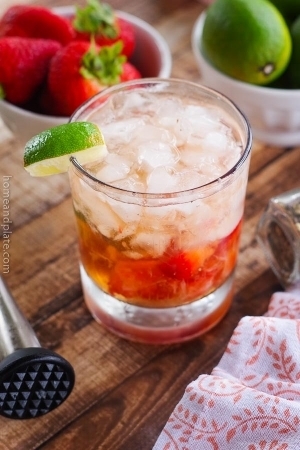 Also delicious as a cold drink! My Spiked Apple Cider Tea came about accidentally. I decided fresh pressed hot apple cider in a mason jar would hit the spot one chilly fall evening. I was heating up the apple cider and decided to toss in a flavored tea bag. I was surprised at how sweet and soothing this warm cup of apple cider tea tasted. Then I got the idea of adding a little bit of spiced rum to the glass. It was quite tasty and turned out to be the perfect seasonal drink. I made a big enough pot so I refrigerated what was leftover. Chilled and served over ice this cocktail was completely transformed. “Delicious” – according to my neighbors. 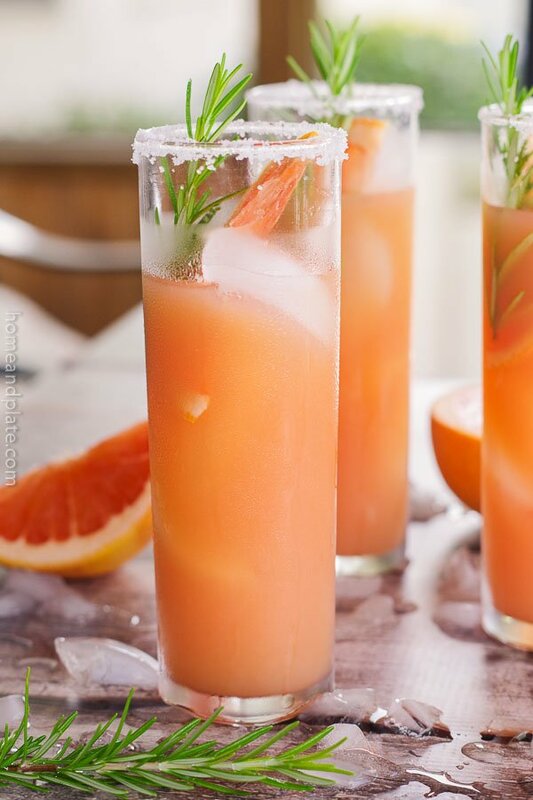 I used an apple spiced tea bag but have since tried this concoction with orange and lemon flavored tea as well. It’s just as delicious. And best of all you can leave out the rum if you want a hot drink to start your day or a way to just warm up. I’m not a big coffee drinker so this is the perfect replacement. This cider tea sans alcohol is refreshing also poured over ice. Bring the apple cider to a boil then add the teabag. After one minute remove from the heat and allow the cider to steep for five minutes. 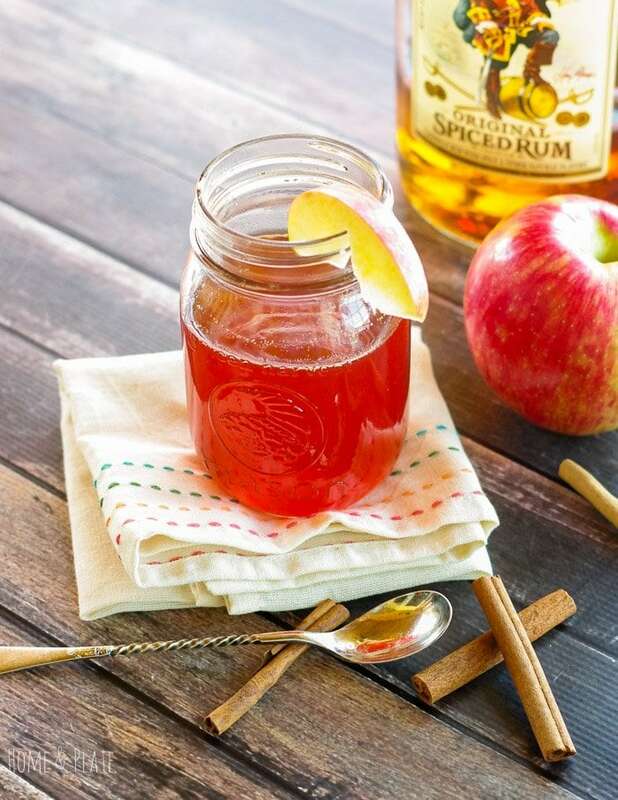 Pour the tea infused cider into a glass and add the spiced rum. Enjoy hot or chilled over ice. This page contains affiliate links which does not affect the price of any item should you choose to purchase. I love a good punch, and that seems a perfect winter warmer. I’d serve it at a winter party! That’s a great idea for a winter party. Great way to stay warm. Thanks Helen. 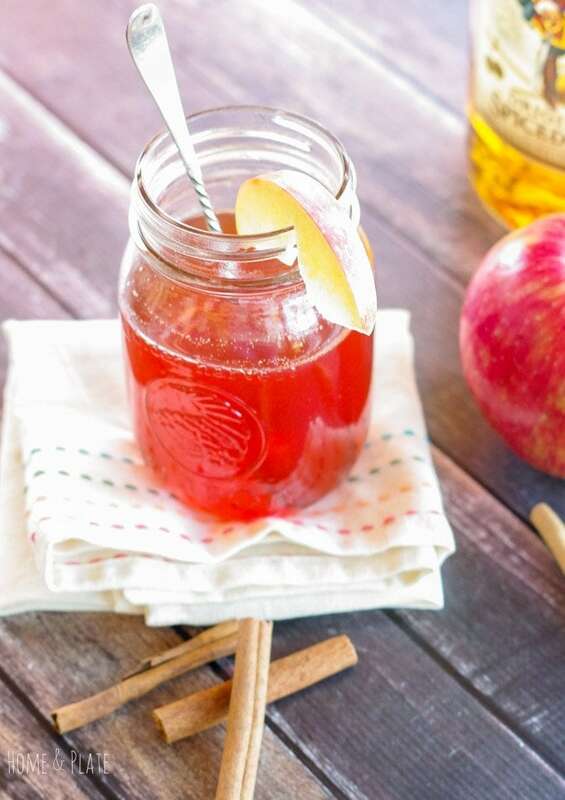 This apple cider tea looks perfect for the holidays! Love the pop of color! Stunning pictures! I won’t tell if you won’t tell…enjoy! perfect for my next hurray-it’s-friday celebration! This looks so pretty and perfect for a nice fall relaxer! 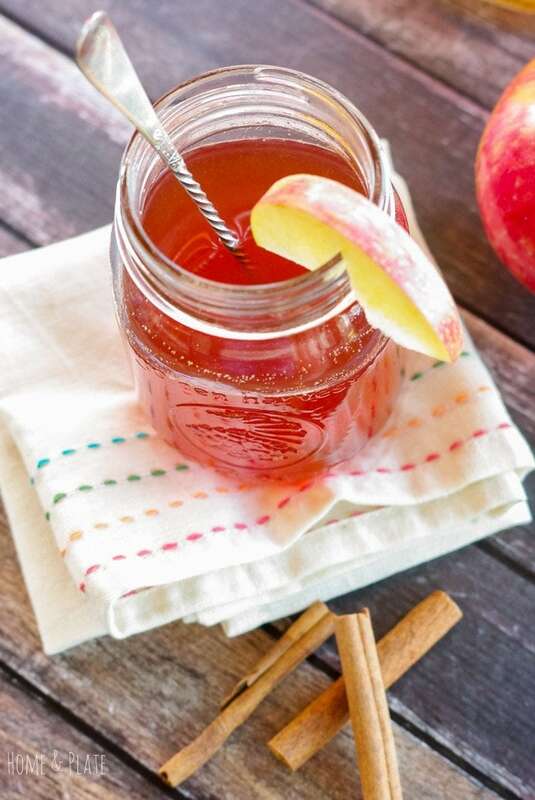 This apple cider tea sounds delicious, perfect for fall! Thanks Joy….yes perfect for this colder weather. This drinks sounds like it would be so warming! I just love recipes that accidentally come together. They often turn out to be some of my favorites! 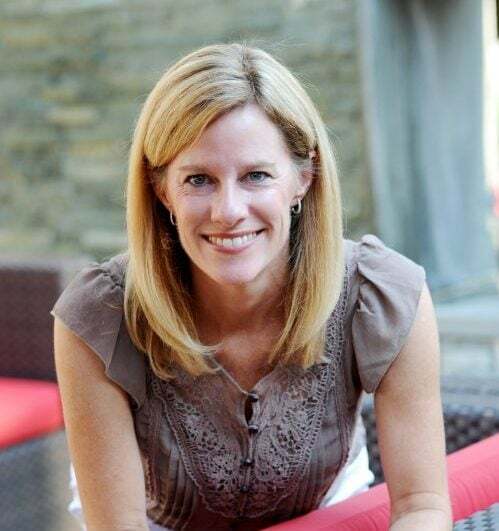 Thanks Rachel…accidental is the best way … I agree! What a fun idea! Pinned! Thanks Jessica…perfect for this time of the year. Perfect fall recipe! Looks great! Thanks Oana. I agree. The perfect fall recipe. I’m ALL about apple cider this fall!! Love the cinnamon especially! This is the perfect fall and winter warm up. Thank you Anjali.